Continuing from yesterday with the first half of the Born Pretty Store holos, here are the other six shades. 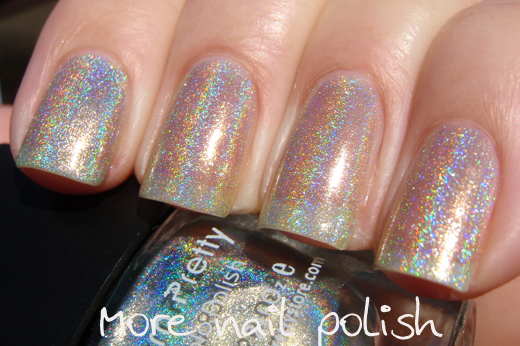 Born Pretty Holo #7 - a pale green holo Very sheer and hard to distinguish between this and #1. This was three coats, with my index showing thick coats and the others with thin coats. At three coats it doesn't achieve opacity, but it has a good flame. 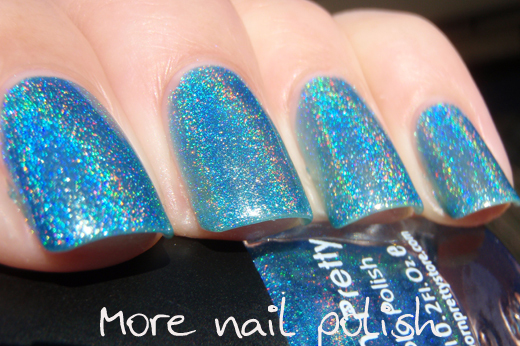 Born Pretty Holo #8 - a medium bright blue. good opacity and holo flame. This was two coats photographed in the full sun. 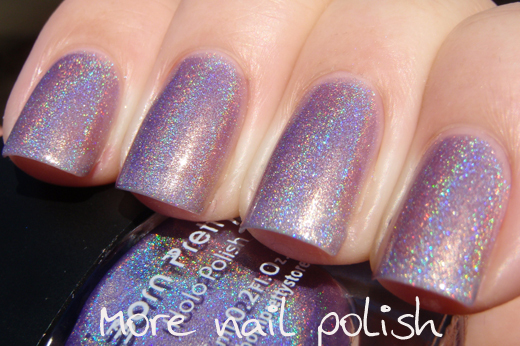 Born Pretty Holo #9 - a light purple/lavender holo, on the sheer side. Reminds me of OPI DS Original. This is three coats, photographed in the sun. Born Pretty Holo #10 - A bright and rich teal blue, the sun makes this a little lighter than it actually is, so imagine this a tiny bit darker. This is one of my favourites from the collection. The pigmentation was good and so was the holo flame. 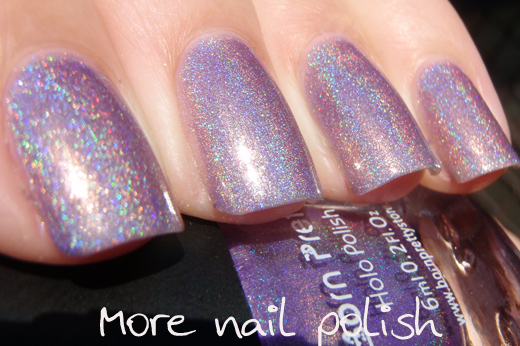 I've tried making frankens of this colour but they always loose their holo rainbow. This was two coats. 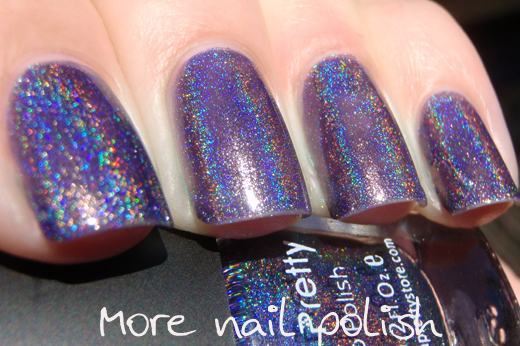 Born Pretty Holo #11 - dark purple holo. This seems like a nice balanced purple, not too red toned and not too blue toned either. This swatch shows two coats, but for these sun photos I should have done three, or made sure that the second coat was thicker. On my index finger I clearly did thicker coats and it's isn't patchy, whereas on the other three fingers my coats were a bit thin. 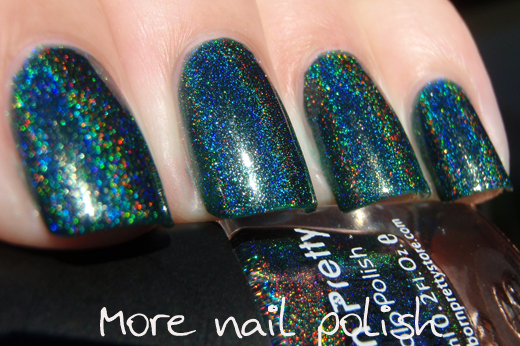 Born Pretty Holo #12 - a dark green holo. This one is favourite, think Glitter Gal Lizard Belly, but better. It's more obviously green, rather than being off black and the holo flame is much better. Opacity was good, and this was two coats. As I said yesterday, the formula on these was good. They don't require a special base and top coat doesn't dull them. The holo flame on them is good, not super strong like Dance Legend but certainly easily visible. If you only get a few, I recommend the last three (#10, #11 and #12) or if you are into pinks then try #4. If you want something more unique go for #5 - ive not got a holo like. If you like nudes then #6 is a must. 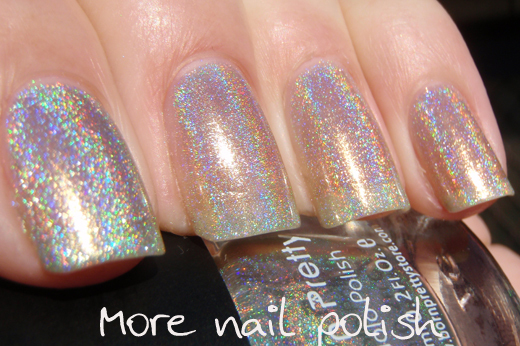 Finally, if you are looking for a holo top coat then either #1 or #7 work. The regular price for these is $12.88 and the bottles are only minis at 6ml. So at full price they are quite expensive for the amount of polish you get. Now I don't know if my blog post yesterday made a difference, but now instead of being 30% off, they are 50% off again, so now $6.44 (which is the price I paid). I'd like to think you could then add a 10% off code too, but I have a feeling that the 10% off codes only apply to products that aren't already discounted - at least that has been my experience shopping there. Again, let me know if you want to see any comparisons and if I have them I'll swatch them up - I going to be doing a few with #1 (in the shade to show how silver it is over other colours, and over white). Again, here is my discount code. Great swatches - I had already thought I'd get 11 & 12 and your post made that a definite! Thank you - now I'm off to spend more money at BPS! I love 10 and 12! There's 2 number 7's so I'm guessing the turquoise one is 8? By the way loving them all!!! #12 is stunning and my favorite of the bunch! Aaaah, 12 is so pretty!